Microsoft has released an update to the Office for Android apps today and it is an utter mystery what is addressed in the update. All three of the Office apps – Excel, PowerPoint and Word – have received an update and they are available now for those who have Android Tablets and if you are in the Office for Android Phone preview, you will see them available on your phone. The version of the builds is 16.0.4201.1004 for those keeping score at home. While mysterious “bug fix and performance improvement” updates are common in the Google Play Store, updates with literally no release notes are not as common (but not unheard of). What Microsoft addressed in these updates is only known to them at this point but I think it is safe to assume that they are aimed at the phone builds. 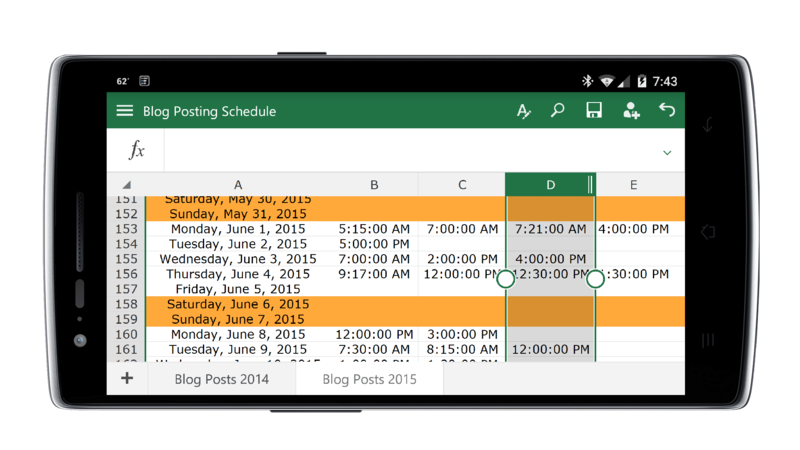 Keep in mind that the Office for Android phone versions are in Preview (beta) at this point. It is easy enough to get them as I outline below but keep in mind they are beta so you may run into an unexpected bug here or there. Personally I’ve been using them on my Android phones for since they were released and while I ran into some initial issues, the last few builds have been great. Once you join the community, Become a tester by clicking the links to the Word,Excel and PowerPoint.